At the request of the South Dakota Department of Veterans Affairs, Gov. 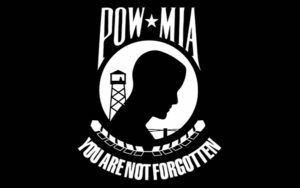 Dennis Daugaard has proclaimed Friday, Sept. 21, 2018, as “POW/MIA Recognition Day,” calling on all South Dakotans to honor those men and women who fought bravely for our freedoms. Larry Zimmerman, Secretary of the South Dakota Department of Veterans Affairs, encourages all South Dakotans to set aside time Sept. 21 to honor the POW/MIAs who fought to protect our freedoms and lost theirs, as well as remember those engaged in today’s struggle to guard our way of life for future generations.